Bon Appétit! Why do male crickets feed females during courtship? Mating pair of Hawaiian swordtail cricket with macrospermatophore on the male (left). The male and female (right) are marked with paint pens for individual identification. In many species of insects and spiders, males provide females with gifts of food during courtship and mating. This is called nuptial feeding. These offerings are eaten by the female and can take many forms, including prey items the male captured, substances produced by the male, or parts from the male’s body. In extreme cases the female eats the male’s entire body after mating! Clearly these gifts can cost the male a lot, including time and energy, and sometimes even their lives. So why do males give these gifts? There are two main hypotheses explaining why nuptial feeding has evolved in so many different species. First, giving a gift may attract a female and improve a male’s chance of getting to mate with her, or of fathering her young. This is known as the mating effort hypothesis. Second, giving a gift may provide the female with the energy and nutrients she needs to produce young. The gift helps the female have more, or healthier, offspring. This is known as the paternal investment hypothesis. These two hypotheses are not mutually exclusive – meaning, for any given species, both mechanisms could be operating, or just one, or neither. Biz is a scientist who studies nuptial gifts, and he chose to work with the Hawaiian swordtail cricket, Laupala cerasina. He chose this species because it uses a particularly interesting example of nuptial feeding. In most other cricket species, the male provides the female with a single package of sperm, called a spermatophore. After sperm transfer, the female removes the spermatophore from her genitalia and eats it. However, in the Hawaiian swordtail cricket, males produce not just one but a whole bunch of spermatophores over the course of a single mating. Most of these are smaller, and contain no sperm – these are called “micros”. Only the last and largest spermatophore to be transferred, called the “macro” actually contains sperm. The number of micros that a male gives changes from mating to mating. From some of his previous research, and from reading papers written by other scientists, Biz learned that micros increase the chance that a male’s sperm will fertilize some of the female’s eggs. Also, the more micros the male gives, the more of the female’s offspring he will father. 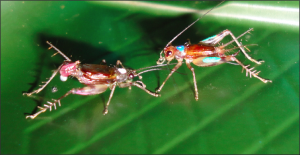 This research supports the mating effort hypothesis for the Hawaiian swordtail cricket. Knowing this, Biz wanted to test the paternal investment hypothesis as well. He wanted to know whether the “micro” nuptial gifts help females lay more eggs and/or help more of those eggs hatch into offspring. Biz used two experiments to test the paternal investment hypothesis. In the first experiment, 20 females and 20 males were kept in a large cage outside in the Hawaiian rainforest. The crickets were allowed to mate as many times as they wanted for six weeks. In the second experiment, 4 females and 4 males were kept in cages inside in a lab. Females were allowed to mate with up to 3 different males, and were then moved to a new cage to prevent them from mating with the same male more than once. In both experiments Biz observed all matings. He recorded the number of microspermatophores transferred during each mating and the number of eggs laid. If females that received a greater number of total micros over the course of all matings produced more eggs, or if their eggs had a higher rate of hatching, then the paternal investment hypothesis would be supported. 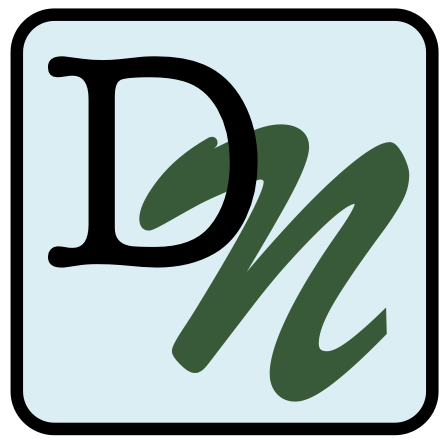 Enter your name and email if you would like to receive updates on Data Nuggets! Data Nuggets aim to improve students' quantitative literacy and attitudes about science. We may contact you in the future for information on your experience with Data Nuggets. Thank you!